Here's a bunch of skin tone shots in direct sun with zero post. What I did here was keep the exact same settings and Canon 70-200 f/2.8 between the Canon shot and the Sony EOS PRO shots. The Canon Standard shot is just there for reference. These are frame grabs from video. 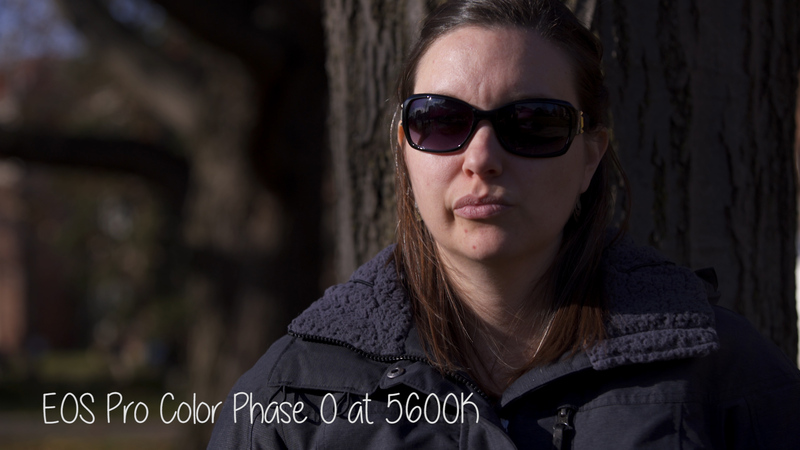 I shot some extra shots with Color Phase at 0 and I think when the WB is at 6600K (even though the Canon is at 5600K) those 2 shots match closest. Basically, the profile wants higher Kelvin numbers it appears to match with Canon SOOC. 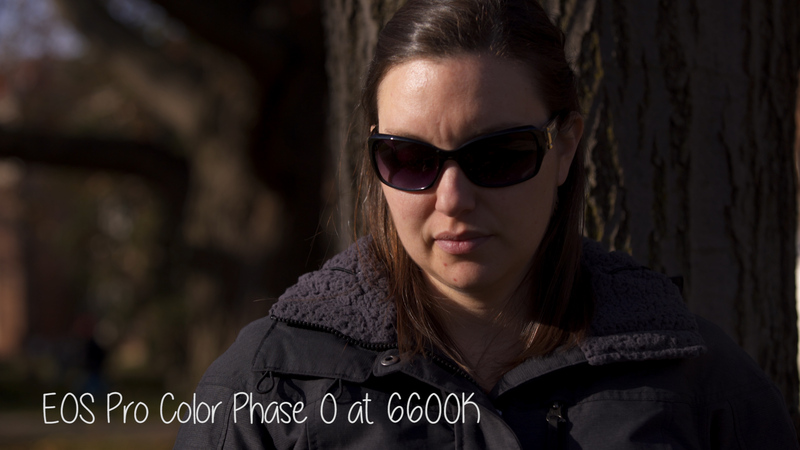 phase at 0 and 6600k is looking pretty good to my eyes! People tend to forget that around 6300k or cloudy is very often dial as a WB in the industry to get some of those warm tone back in the skin tone or for a sunset/sunrise. 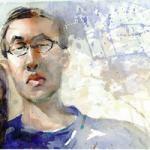 On a sony camera 8 bit 4:2:0 cam it should pretty much always be used when skin tones are part of the scene. Same as 4900k if you want a colder look. The canon standard profile would look a bit more neutral dialed down a bit, the first one seems to be shot under a cuban sun to my eyes. The Canon or the Sony? 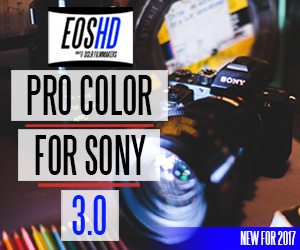 :P This is the best Sony skin tones I've ever seen with zero CC or grade. I have the a7s2 and the a7s, hoping that it wasn't an FS5 or something similar. I was going to pull the trigger (not that it would break the bank) when first viewing Andrew's video but got distracted by the pitchforks and burning torches. That fourth image - Pro Colour at 6600K and colour phase 0 - looks like it came straight out of the same Canon camera as the first image. Out of every test that has been posted, yours is the most informative. Oh the trigger on the EOSPRO settings! I thought you meant the Sony A7s2. Yes, of course I definitely didn't want to say the settings but I had personally noticed the skin in daylight (it was 1p in Indiana) looked a little closer with Phase at 0. It's modified in his guide and I think it's worth noting that may very well be better having it as Andrew has it for night skin tone shots. I haven't done much testing at night with a proper video light with high CRI. For those who already purchased it, has the original EOSPro doc been modified with recent findings? Definitely using the PDF settings as they are written for night shots - no more flesh eating zombies. Will be going down the German Market before Christmas and there is a heap of orange and yellow lighting, as well as hundreds of people. Wouldn't have known where to start, otherwise, but that night video is miles ahead of anything I have shot at night thus far both in terms of keeping blues and retaining decent skin tones. No new PDF settings yet, but give him some time to release it as he wants to! The email with updated settings is on its way today. The update only applies to users of the A6300,A6500,A99 II and FS5. The update optimises saturation and colour depth on these cameras. As the update is only for the cameras listed above, A7S II shooters for example do not need to change any settings. I wanted to thank you for this fantastic EOSHD Pro picture profile you put together. I ordered and downloaded it last week. I can't be happier with the results!!! The examples below were shot in your PP1 profile and lit by a single keylight: Zylight Z90 @5600K. ISO below 800, I don't recall the exact #. 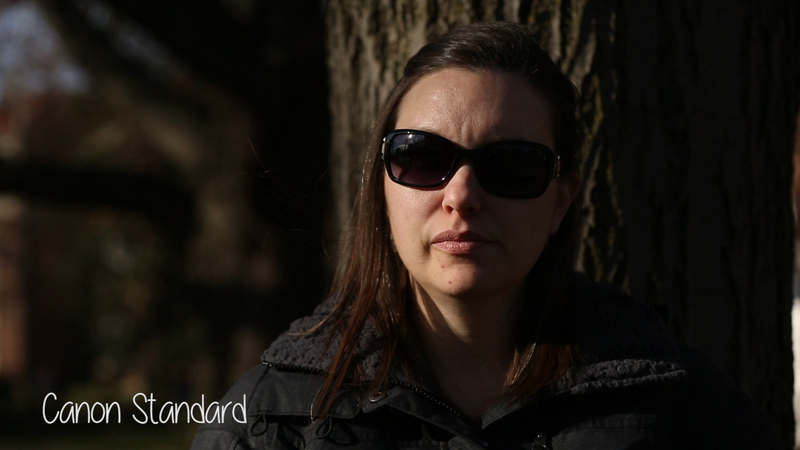 This the closest I've ever been able to get skin tones on my Sony A7s2 to look like those from my old Canon 1DC. I've never been able to make skin tones on my A7s2 look that good, even using Matt Johnson's great PP8 Cine4 mode: https://www.youtube.com/watch?v=-APqhJLhPfE&t=23s. And that's what I was using until now. Congratulations Andrew, and thank you again for all the time and effort you put into getting it right. Please see these before and after test shots I did on myself and a mannequin head. All I did was use the white balance eye dropper in Premiere, and done. It's the first time I post here but i've been reading your content for a long time and it's always a pleasure, there're not many sites that mix information and author partial opinion as well as yours. 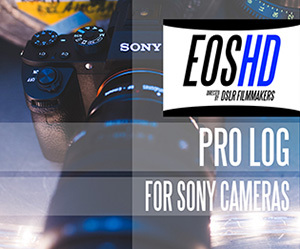 I haven't bought pro color yet because of some issues I've been reading concerning its effect with A7S mk 1, and the fact that the A7S and A7SII deal with color differently. Is there any chance for an update concerning A7S mk 1 ? Confused on the update. The A6300 (and presumably the A6500) does allow color depth adjustments when using an S-Gamut Color Mode. 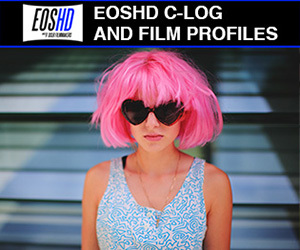 That's what the original EOSHD ProColor profile was. Am I missing something? It works absolutely fine on the A7S. I have tested it. If you find the results too magenta just dial Colour Phase to your taste in the picture profile. Confused on the update. 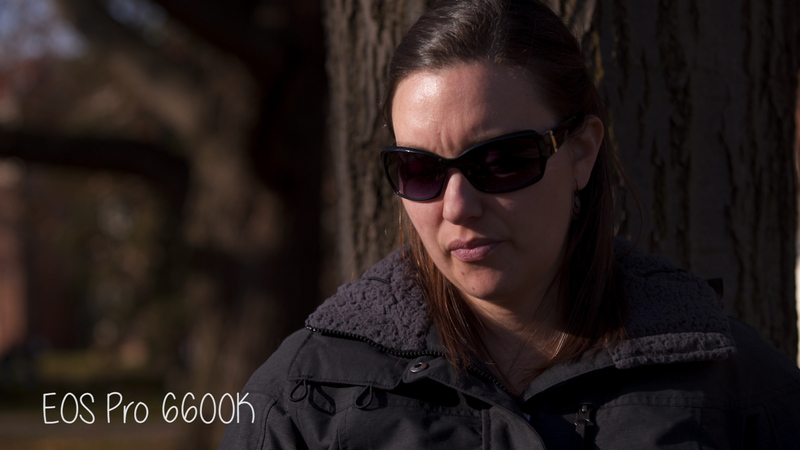 The A6300 (and presumably the A6500) does allow color depth adjustments when using an S-Gamut Color Mode. They do not. The Colour Depth settings when adjusted don't change the image with S-Gamut selected on the A6300 / A6500. It doesn't matter though as the update fixes it and the new settings give the same image and performance as EOSHD Pro Color on the A7S II. My A6500 is running firmware v1.0 and my A6300 the same. Unless Sony have issued a firmware fix which changes the behaviour, you need to use the updated settings instead. I also tried the A99 II and same thing. Maybe Sony wanted to lock S-Gamut and not allow changes. Saturation does go up and down, just not the Colour Depth for each channel. Saturation on the FS5 however is locked, so again on that camera you need to use the updated settings. Seeing lots of noise in video with iso 6400 and above. Anyone else?